The waffle iron and I have had a bit of a rough history. It's nothing against waffles in particular. I actually really love waffles. Growing up, breakfast for dinner, featuring waffles, was one of my favorites. My mom would take waffle after waffle off of the iron and onto our plates, where we'd add syrup, jam, or powdered sugar...sometimes all three! When I got my own house, and my own waffle iron, I discovered that waffles were nowhere near as easy to make as they appeared, or so it was for me. I've made a few different varieties and none could be considered a true success. The flavor was often good, but the texture lacked. Other times, they refused to set up in my waffle iron. This time, however, I nailed it! I don't know what it was, but these waffles came out perfectly--cooked all the way through with a crispy shell and tender insides. The pumpkin flavor is noticeable and makes for the perfect fall breakfast (or breakfast for dinner!). We ate these drowning in syrup, as you'll notice in the pictures, but Ryan highly recommends topping them with peanut butter, which is what he did with the leftovers! Extras can be frozen and reheated in the toaster oven. Thanks to the Fairy Hobmother from Appliances Online, The Sweets Life has a brand new toaster oven! Her mission is to bring joy to the blog world and she happened to see a comment of mine on another blogger's post. She granted me my wish--in the form of a new toaster oven--and just might pay you a visit too. Leave a comment on this post with your kitchen appliance wish and perhaps she'll grant your wish too! 2. In a large bowl, mix milk, egg yolk, pumpkin, vanilla, oil, and brown sugar. In a mixing bowl, beat egg white until stiff peaks form. Set aside. 3. Add flours, baking powder, salt, cinnamon, and nutmeg to the wet mixture, stirring just until combined (batter might still be a little lumpy). Fold in egg whites. 4. 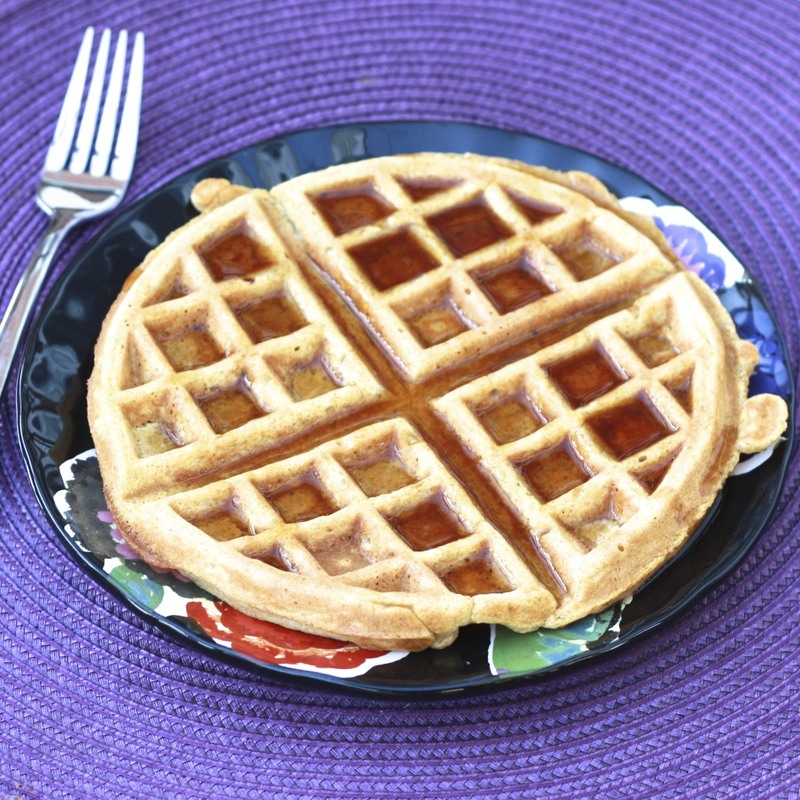 Spray waffle iron with cooking spray and pour approximately 1/2 cup batter onto the waffle iron. Cook waffles until lightly browned and crispy. Serve immediately with butter and syrup. 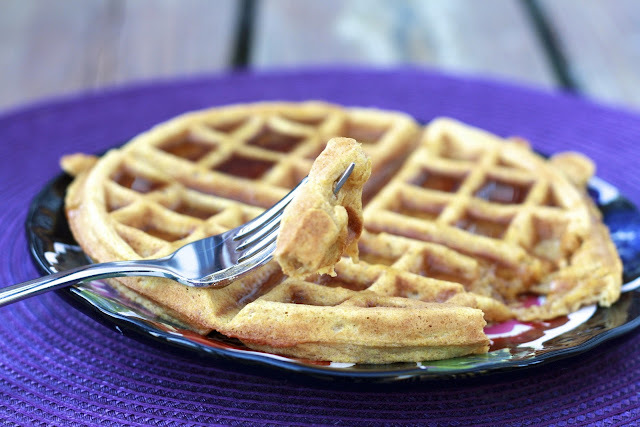 *extra waffles can be frozen and reheated in the toaster or toaster oven!